Want it by Wednesday 24th April? Order within 2 days, 20 hours, 20 minutes and choose Next Working Day - Kerbside Delivery (Order Must be Placed by 2pm) at checkout. 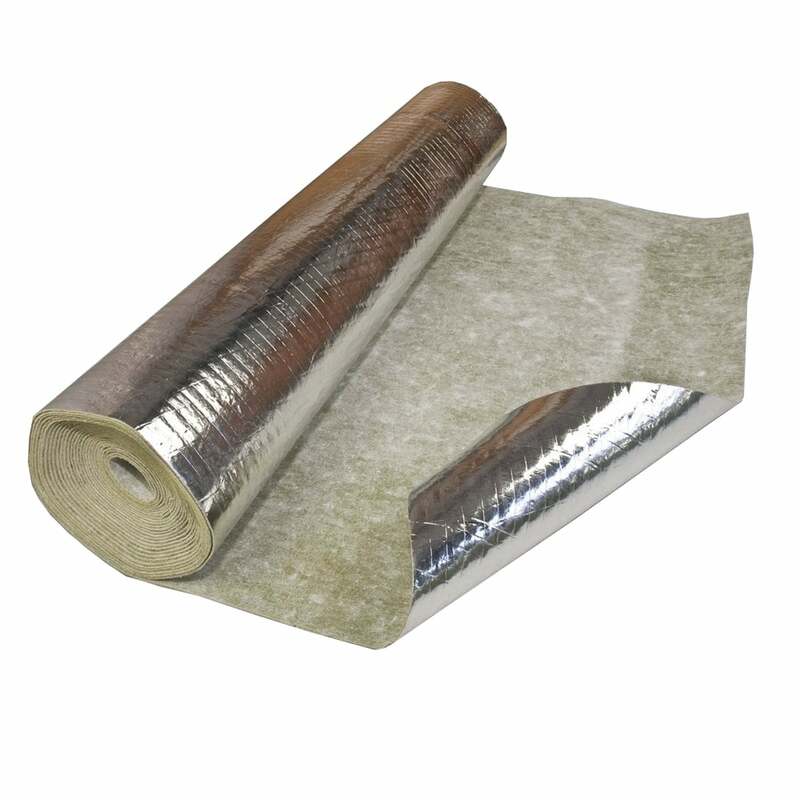 Timberfoil is a high quality insulating underlay with an integrated aluminum vapour barrier to protect your floor against water damage and dampness. Each roll of this high density rubber underlay covers an area of 10m2 and is 2mm thick which helps even out the slight imperfections of the subfloor and provides cushioning underfoot. As our Timberfoil Underlay has an impack sound reduction level of 21 decibels, those living above ground floor in apartments etc will be glad to know that the floor will insulate alot of the sound, and keep the neighbours happy. With the built in moisture barrier, this underlay is fine to go onto a concrete subfloor, and will keep the floor protected from underneath. More than suitable for laminates or engineered floors, and underfloor heating, this underlay will help to sustain the life of your floor. Review Summary - 4.8 out of 5 based on 11 ratings. This underlay is fantastic. Easy to roll out and cut to size too. We ordered 2 rolls and we have managed to do a 4m x 3m room plus a small kitchen, with enough left over to use in another room! Superb value for money too. Highly recommend this product! Really easy to lay and would highly recommend for laminate flooring. We are using this through out our downstairs. Given it a 5 star But its even better top quality . I needed an underlay that had a low tog rating but good sound insulation and thin for my underfloor heating. This fitted the bill perfectly. Its a little too delicate, tears very easily but otherwise all good! Definitely gives the floor a good bounce and comfort. Great value for money and I'd recommend it to anyone. Bought this with my Swedish Oak laminate for use in my bathroom. Paid a little extra as the the quality seemed very good. Moisture and noise proof which seemed a good idea. Would recommend. I ordered the gold 3mm instead of this and they did ring me before to tell me gold was not in warehouse at the time.They have sent this I do not know whether it is cheaper than the gold 3mm or not.Not very happy about this. Really easy to instal. Seems to do the job nicely!